Hi there. My question is this. Why does my German Shepherds nose run so much? 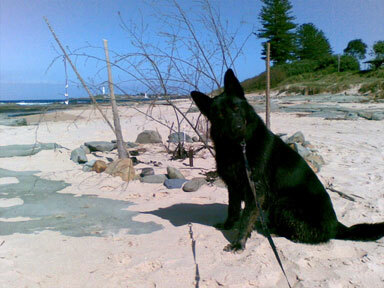 Heidi is a five year old Long Coat German Shepherd. My GSD name is K-Bar and I have the same question concerning running nose! But also, to include a couple months ago I notice that drops of blood around the house. It seem to come from his nose. This is a concern. My GSD has that same problem. Her nose drips constantly sometimes and it drives me crazy! I've asked around and everyone says as long as it's clear it's no big deal. I thought she might have alergies, but there are no other symptoms. I know this answer is probably little help to you, but that's the only answer I've been able to get either.